In Part 6 we had a look at ways to automate your online marketing efforts. Now we need a strategy to review the performance of our those efforts, identify the winners, and eliminate or modify the ineffective campaigns. In this section we will review some metrics to monitor and suggestions for refining your internet marketing strategy. When you review your marketing activities, figure out what you want to improve. Do you want more people coming to your blog? Do you want to convert more of the visitors on your home page into leads? Get into the mindset of constantly looking for new opportunities. Analyse how your programs performed. Make changes with the intention of achieving your marketing goals by doing less of what doesn’t work and more what works (and by modifying what doesn’t work so that it works better). Determine if you’ve met your success metric. If so, stick with your change. If you haven’t met it, see what you could have done differently. In either case, continue to monitor the metric to make sure the improvement has a long-term effect. In order for your refinements to have a big impact, you need to monitor several key factors. Before diving into how to improve them, let’s first discuss what the relevant metrics are. • Website performance – How strong are the components of your website, such as SEO, mobile optimization, and page load time? 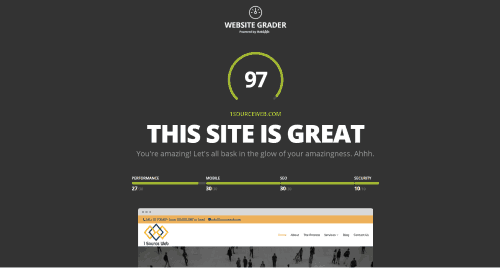 HubSpot has a great tool called Website Grader you can use to check how strong your website is. Best of all, its FREE! Traffic – Overall, how many people are coming to your website? Look into what channel drove the most and least visits. Take that knowledge, make iterations and launch campaigns that will increase visits. Leads – How much of this traffic are you converting into leads and potential customers? This number should be constantly growing to ensure a steady flow of revenue. Customers – You should always be mapping your campaigns and channels to customer acquisition. How many sales did you close this month? How does that compare to last month’s performance? The ability to make this comparison is invaluable to any organisation. Customer Acquisition Cost (CAC) – How much are you investing to draw in each new customer? If you rely primarily on outbound marketing methods, like trade shows and direct mail, your cost per customer is probably pretty high. If you are following the steps we have outlined in thins series and focus on inbound marketing, you are saving your organization a lot of money. 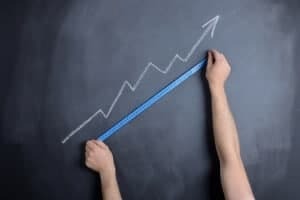 New vs. Repeat Visitors – Of your overall traffic, how many visitors are returning to your site, and how many new people are finding you? Both types of visitors are good. Attracting new visitors means new people are finding you through various channels. Attracting repeat visitors means you’ve given people good reason to come back to your site. Effectiveness by Channel – What promotion channels or referring sources are sending you the most traffic? Focus on long-term results, not short-term traffic spurts you might get from news coverage or press releases. Try new keywords or variations of your existing target keywords to see if they help bring in more organic traffic. Since each page on your site can incorporate different keywords, there are tons of opportunities to do this. See if changing a simple on-page SEO factor can help boost visits. Examples of on-page factors are page titles, image alt tags, and headings. As a simple test, try adding alt text to all your images to see if you generate more traffic from Google’s image search results. Try new things with your conversion forms or landing pages. For example, make a change to the layout by switching up the form placement or featuring an image that’s completely different from what you currently have. You can use A/B tests to methodically increase your conversion rates. There are tons of articles online that talk about how to setup A/B testing. Determine which content is bringing you the most traffic and leads. This could be an opportunity to either focus more on that kind of content, or refine your promotion of other content. Evaluate which social media channels are generating the most site visitors and leads. Again, you can either focus on your successful social media platforms, or try improving your performance in your less successful ones. Maybe you’re sending emails too frequently — or not frequently enough. Maybe the calls-to-action in your email are not appropriate for your audience. Always keep experimenting and testing! Well that’s it for this series. We hope you have found this information useful. Go forth and MARKET! Can't get enough freebies? Subscribe to our blog! We’ll Send the latest design, marketing strategy and WordPress content straight to your inbox.